Citizens are invited to meetings at three GRPS schools to ask the mayor questions, express concerns and discuss the State of the City. Video if the State of the City address is included in this article. "Just like the Neighborhood Summit planned for March 11, Mayor Bliss hopes these Neighborhood Meetup events strengthen the dialogue about what it takes to have a strong city with strong neighborhoods," says Amy Snow-Buckner, Assistant to the Mayor. "Events such as these illustrate the important role that residents play in making their neighborhoods great places to live." "Mayor Bliss believes strongly that neighborhoods are the heart of our city. As such, she wants to bring her State of the City message and her vision for our city to the neighborhoods, engaging residents in each of the three wards. 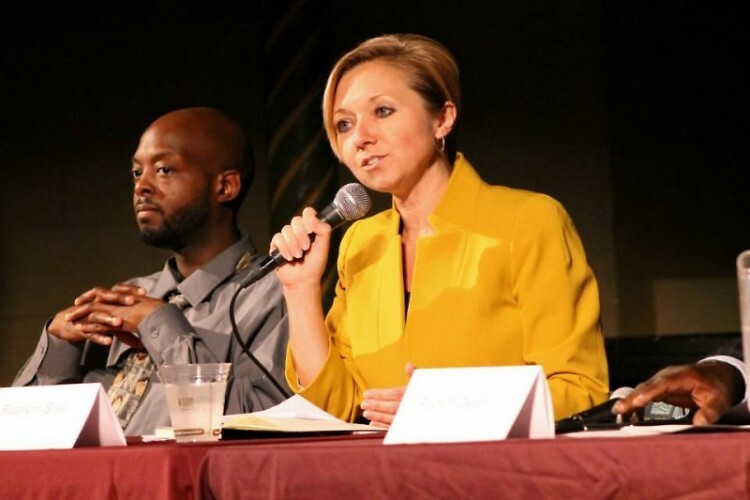 She would like to meet with residents in an informal setting and listen to their concerns and their ideas for how to make Grand Rapids a great place for everyone," says Amy Snow-Buckner, Assistant to the Mayor. "Mayor Bliss looks forward to answering questions and providing a space for residents to feel better connected and empowered."